Feature photo from C-Monster.com Charles James exhibit. You may not recognize the name Charles James as easily as some of the American designers he influenced, like Christian Dior or Zac Posen. But when you look at James’ work over his long career beginning in the 1930’s you get an idea of his genius in both his style and construction methods. Look at his elegant 1937 quilted satin evening jacket, and you’ll recognize this as the granddaddy of all modern white puffy winter jackets. 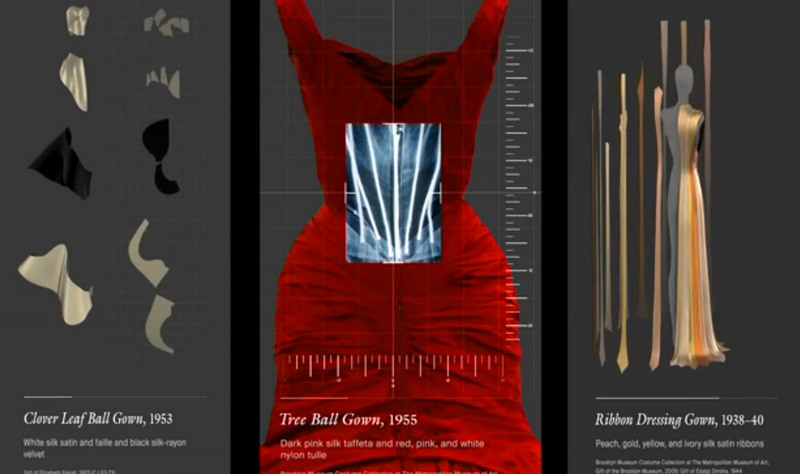 Look at James’ 1953 Clover Leaf evening gown to see how his incredibly creative use of understructure in a dress is still influencing fashion today. While many of his creations are stored in collections in museums and even some private collections and not often seen, this summer we have an unprecedented look into his work with many examples from across his entire career! 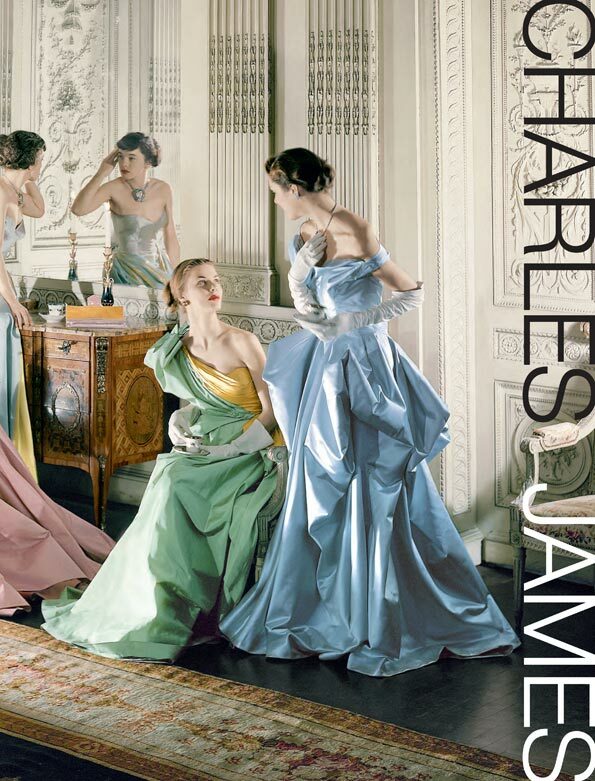 The Metropolitan Museum of Art in New York City is now showcasing Charles James work through August 10th in the exhibit, Charles James: Beyond Fashion. If you plan to be in New York City this summer this is a MUST SEE! But if you can’t make it all the way to New York, you can still explore the exhibit from home. Visit the Charles James videos page at the MET website, and click on the Charles James: Beyond Fashion gallery views video to hear Harold Koda and Jan Glier Reeder, co-curators of Charles James: Beyond Fashion, provide a glimpse of the exhibition. Also be sure to check out the Hipster dress video, an in-depth look at one of the incredible dresses by Jan Glier Reeder, co-curator of the exhibition. Learn more about Charles James through exploring the extensive information at the MET exhibition site, and be sure to read this biographical article about Charles James by Judith Thurman at the New Yorker. Also available from the MET is an extensive exhibition catalog in the form of a book, Charles James: Beyond Fashion by Harold Koda and Jan Glier Reeder, with a preface by Ralph Rucci and contributions by Sarah Scaturro and Glenn Petersen, featuring 315 illustrations. You can even read an interview with author Jan Glier Reeder about the exhibit and catalog right here! Personally, I won’t be able to make it to the MET to see the exhibit in person, but have spent lots of time browsing all the photos and videos online. I first learned about Charles James through the iconic Clover Leaf dress, which I think is still one of my favorite James creations. However, I do also love the way he plays with draping fabrics in some of the gowns with large folds of fabric in the skirts. What about you, which James dress is your favorite?